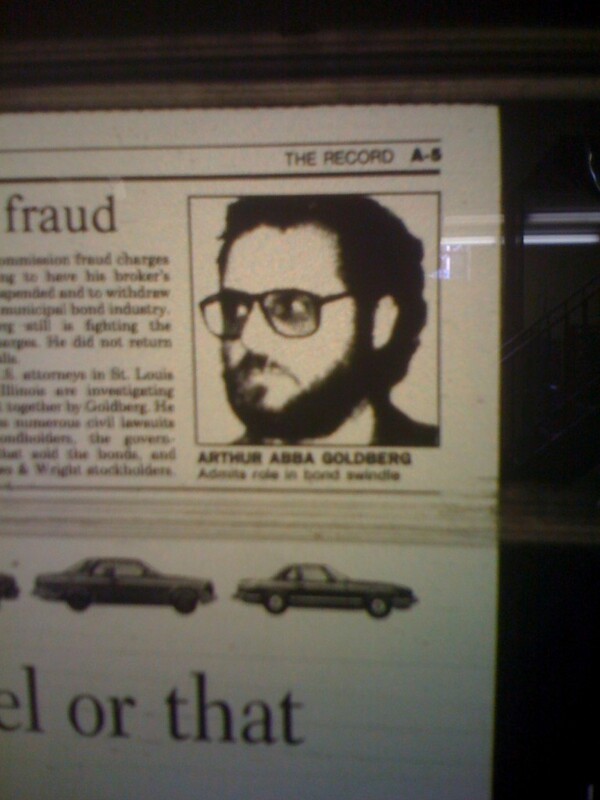 By now, the world knows that Arthur Abba Goldberg was a big-time crook. After he left prison and his parole was up, he founded Jews Offering New Alternatives to Homosexuality (JONAH). He also became a major player in the National Association for Research and Therapy for Homosexuality (NARTH) During his decade-long tenure he never revealed his sordid past. He hid by slyly dropping the “Abba” from his soiled name. For 10 years, he has posed as a moral paragon and paraded himself around the nation as an “expert” on homosexuality. The truth is, he is just an ex-con up to his same old tricks. Except this time, his con game is “curing” LGBT people. Sadly, Goldberg and his apologists are already spinning his criminality and moral turpitude. They are saying that his appalling past is being distorted by gay activists. 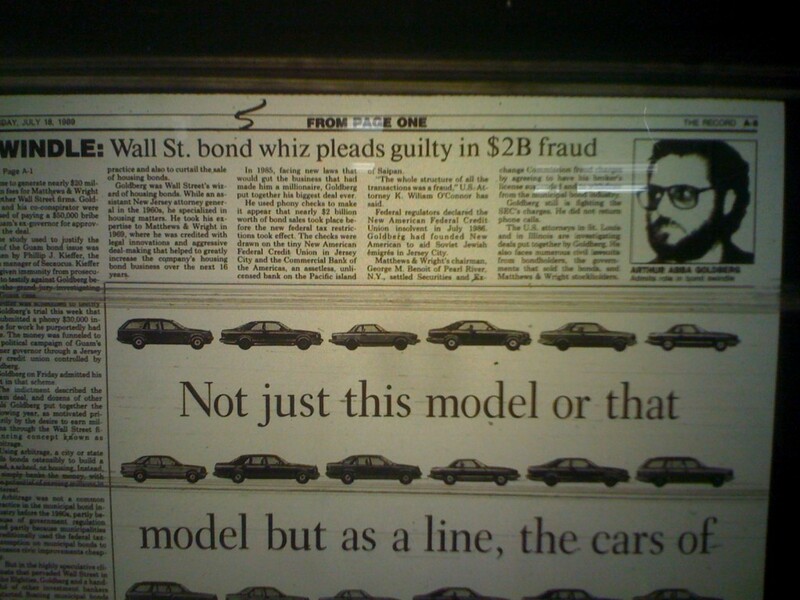 And, they are claiming that his crimes are minor…..because we ALL know someone who tried to steal $2 billion dollars. More on that another time. For now just enjoy the newspaper clips.